There was a time when microSD cards seemed to be slowly dying. New flagship releases seemed to drop support for microSD cards a few years ago. However, microSD cards have made a conditional comeback. These days, most phones (including flagships) feature microSD expansion with a hybrid SIM/memory card slot, which means users have to choose between dual SIM capability and microSD expansion. (Some budget phones do feature a triple slot for both features, though.) The Samsung Galaxy S10, for example, features a microSD card slot, although Huawei has moved to a proprietary Nano Memory card format. In terms of sizes, 512GB microSD cards were the biggest consumers could get. 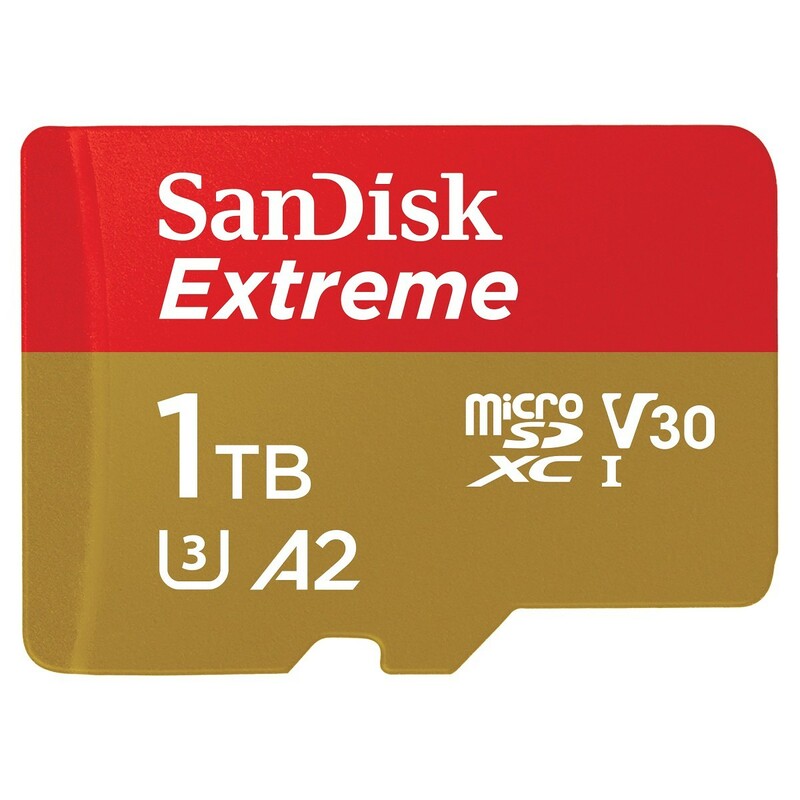 This changes now as the world’s first 1TB microSD cards have been announced. Micron has announced the C200 1TB microSDXC UHS-I card, which leverages Micron’s 96-layer 3D quad-level cell (QLC) NAND technology. This card meets the A2 App Performance Class specification, which enhances user experience for Android Adoptable Storage by enabling apps and games installed on the card to load faster. The Micron C200 1TB microSD card has a 100MB/s read and a 95MB/s write performance speeds, which allow it to meet UHS-I Speed Class 3 and Video Speed Class 30 specifications. 4K video recording and burst mode photos should, therefore, result in no issues for the card in terms of performance. The C200 1TB microSD card will be available in Q2 2019, but Micron didn’t provide a price tag. Separately, Western Digital has announced its own 1TB UHS-I microSD card in the form of the 1TB SanDisk Extreme UHS-I microSDXC card. This card is faster than Micron’s 1TB card as it can reach 160MB/s read speeds. Write speeds, on the other hand, are slightly slower than Micron’s card at 90MB/s. According to Western Digital, this enables consumers to transfer files in “nearly half the time over standard UHS-I microSD cards currently on the market.” These speeds have been achieved by using Western Digital’s proprietary flash technology. Western Digital states that the new SanDisk Extreme card will also be available in 512GB capacity. It also features the A2 specification just like Micron’s 1TB card. Unlike Micron, Western Digital has revealed the card’s pricing. Users will have to predictably pay to become an early adopter of 1TB microSD cards, as the Sandisk Extreme UHS-1 1TB microSD card will cost $449.99, a hefty premium over the 512GB card’s price of $199.99. Both SanDisk Extreme cards are currently on pre-order on SanDisk.com, and they will be available at select retailers in April 2019. What are your opinions regarding 1TB microSD cards and their high launch pricing? Let us know in the comments below.